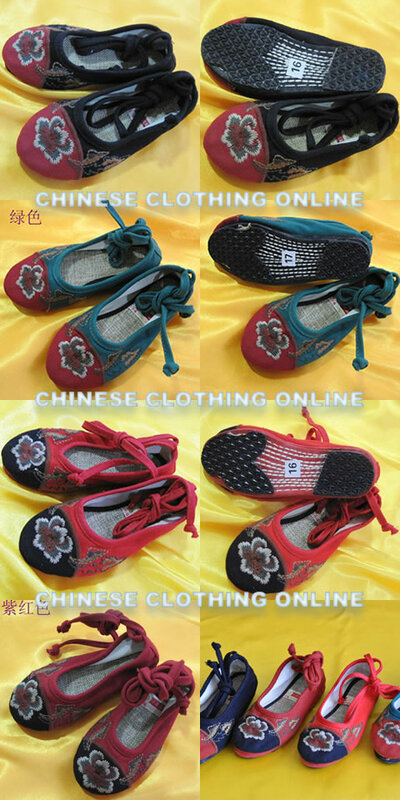 • Qiancengdi: The whole fabrication for the thousand-layer soles requires seven steps and all by hand with the multi-layer cotton sole sewn together by thousand stitches of flax twine, then soak into hot water and hammer to flat. in 5.1" 5.5" 5.9" 6.3" 6.7" 7.1" 7.5" 7.9" 8.3" 8.7" 9.1"
Please figure out the correct shoe size from foot length plus 1-1.5 cm (~1/2") margin. e.g. Size 15 equals to 15 cm (5.9") inner length and would fit foot length of 13.5-14 cm (5.3-5.5"). This product was added to our catalog on Friday, August 20, 2010.